Trailers are one of the main parts in truck driver’s life. However, not all of the trailers can boast of having the best features and possibilities but together we can change everything. 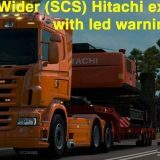 Here, on our website, you may find numerous of ETS2 Trailer Skins mods which will help you to improve trailers and boost their possibilities. 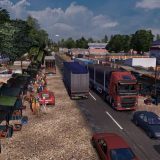 After installing these mods you’ll find out what a really good trailer looks like. Afraid to download these mods because you think they may cost? 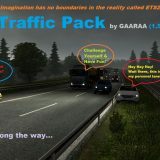 Well, you think wrong because all the ETS 2 Trailer Skins mods as all other mods on this website are absolutely free. 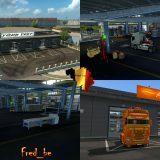 You can have the best trailers in the game just by installing Euro Truck Simulator 2 Trailer Skins mods so what you’re waiting for? When all of these mods are free to download, use this opportunity without any thinking because it’s the one and only opportunity of becoming the very best of your lifetime!